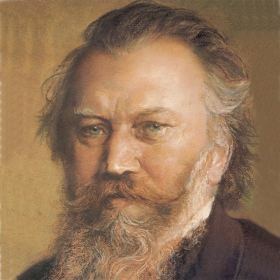 Johannes Brahms (1833-1897) moved to Vienna as an adult and remained there for the rest of his life. This is where he composed his major works. 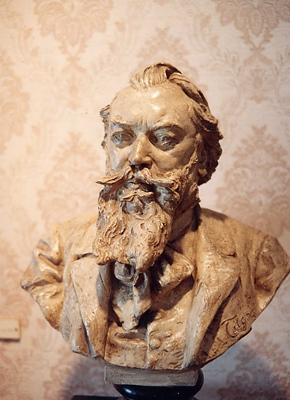 He was also the Director of the Gesellschaft der Musikfreunde (Society for the Friends of Music). When we attend concerts at the Musikversein, Dr. Nelson will show you where he sat. 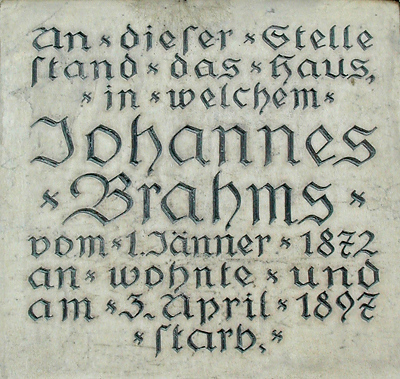 Brahms Room in the Haydn Museum. 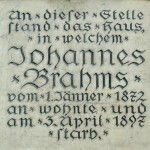 Because there are no original apartments of the composer for a Brahms museum in Vienna, a room of the Haydn Museum is dedicated to Brahms. 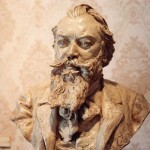 It contains original furniture, a famous portrait of composer, and this bust. Grave in Central Cemetery. A romantic image of the serious composer contemplating one of his works of music. 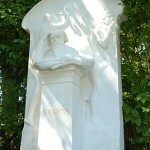 Within a few feet of his tomb are the graves of Beethoven, Schubert, and Johann Strauss. 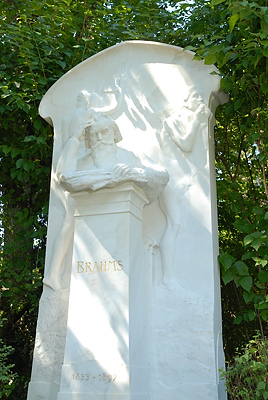 Brahms Statue in Resselpark. 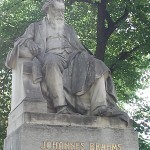 A famous statue of the composer. Interestingly, the statue is directly between his final apartment and the Musikverein where he worked for the final decade of his life. He would have walked next to the site of today’s statue every day. 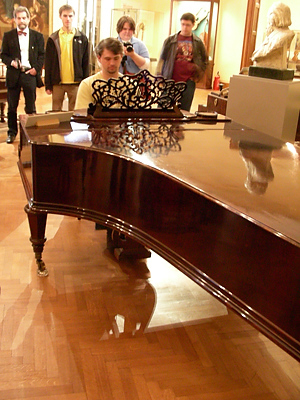 Piano in the Collection of Ancient Musical Instruments. 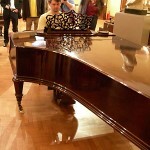 This was the instrument on which Clara Schumann played the inaugural concert of the Musikverein. She and Robert Schumann gave it to Brahms who composed on it towards the end of his life. Here, the Director of the collection is allowing one of our travelers to play it. 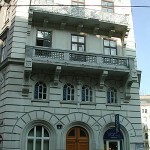 Site of Brahms’s final apartment. Brahms lived here for the last decade of his life. It is next to the gorgeous Karleskirche. 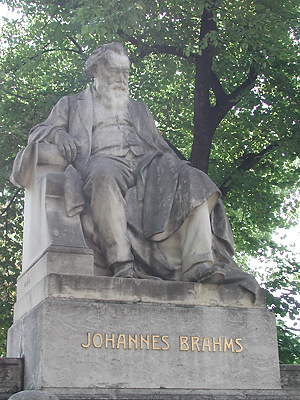 Unfortunately, it no longer stands, but we can still get a good idea of Brahms’s final neighborhood. Postgasse 6. 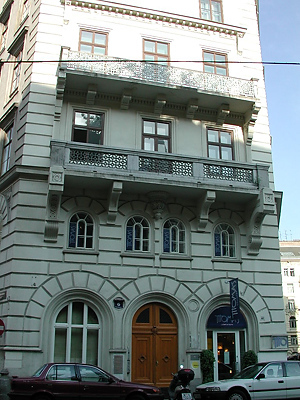 Brahms lived in six different apartments in Vienna, but this is the only building that still survives. He lived here in 1866-67.